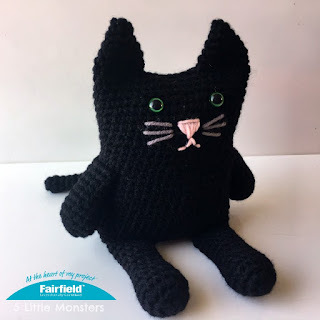 Product and compensation for this post provided by Fairfield World. All ideas and opinions are my own. 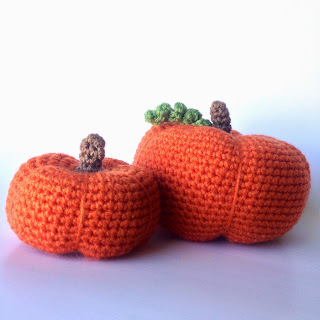 I have been working on a lot of Halloween themed projects lately and today's project is one of them. 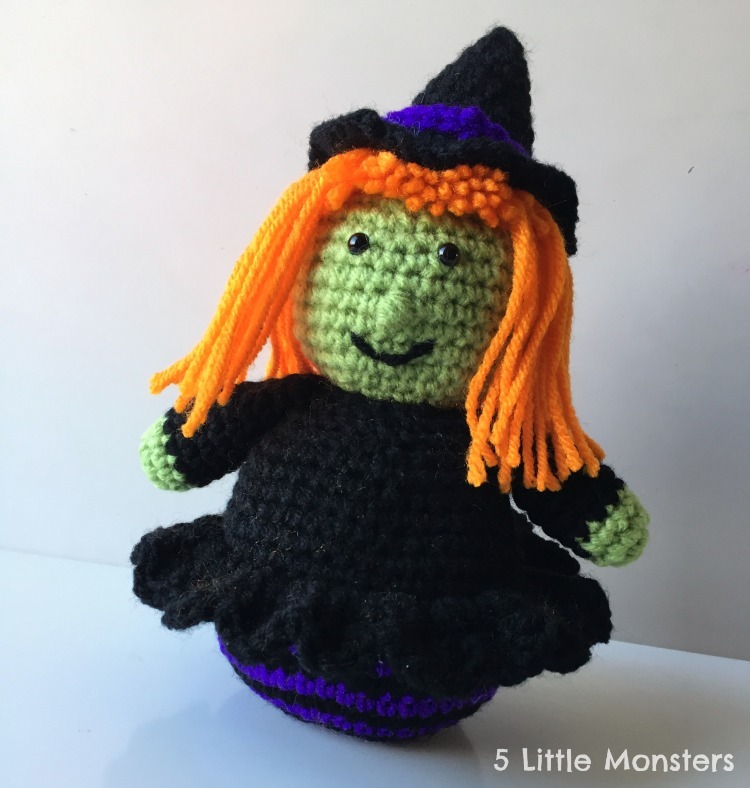 This little stuffed, crocheted witch is about 9" tall, which is a little bigger than I had originally pictured when I came up with the idea but I think it turned out to be a good size for setting out as a decoration or for playing with. My 8 year old daughter has already claimed this one for herself. I decided to make the bottom part of her body black and purple stripes to kind of represent striped socks since she doesn't actually have legs. The top half is solid black and I added a little skirt around her waist. 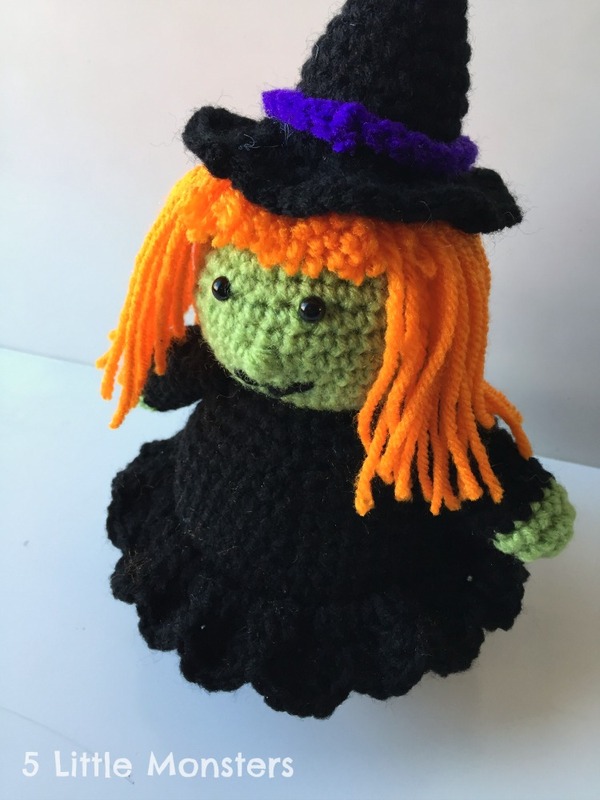 I gave her green skin to make her look a little more witchy. 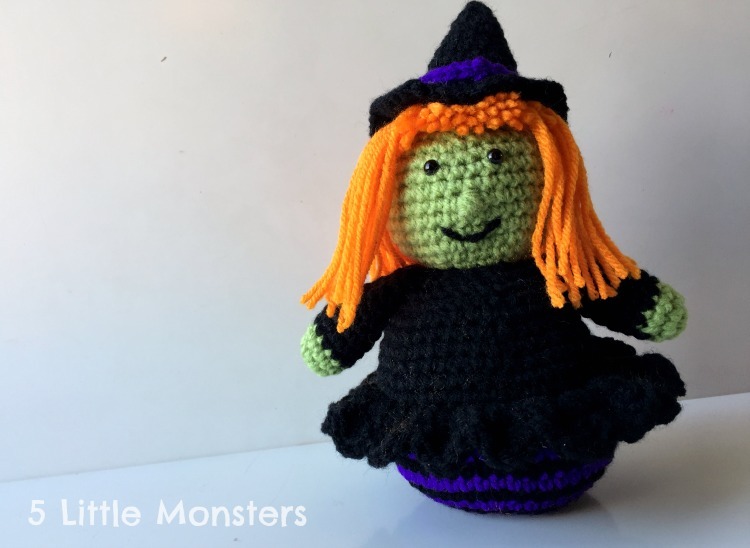 I planned to give her black hair but I ran out of black yarn and before running to the store to buy more I decided to try out orange to see how it would look. Honestly, I was kind of glad because it turns out that I liked the contrast of the orange hair against the black dress and hat better than I like the black hair. I gave her a nose by making a little bobble stitch on her face, then I added some safety eyes and an embroidered mouth. I added some weight to the base to help her stand up by filling a little fabric pouch with Poly-Pellets and sticking it in the bottom before stuffing. 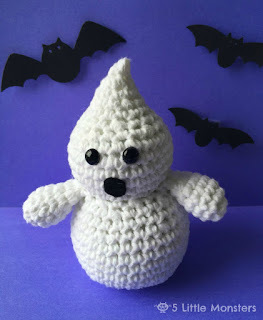 The head and body are crocheted in one piece and the arms and hat are sewn on separately. 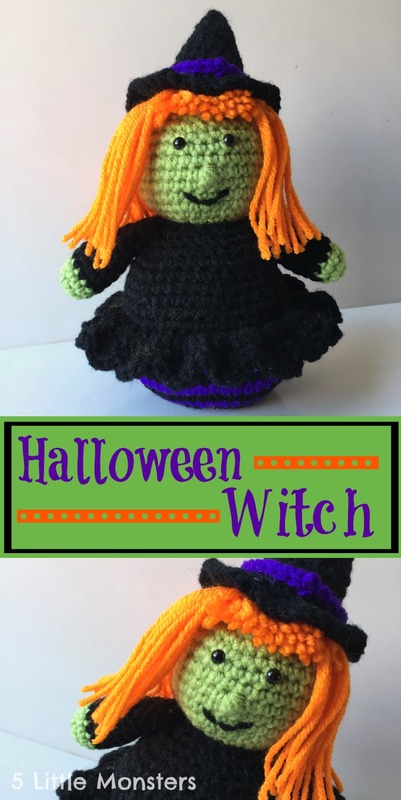 First make the weighted pouch that you will put in the base of the witch. Take your fabric and cut a circle that is about 9-10" in diameter. With your needle and thread stitch a running stitch all the way around the circle. Pull the thread so that the sides scrunch up to make a bowl shape. Fill with Poly-Pellets. 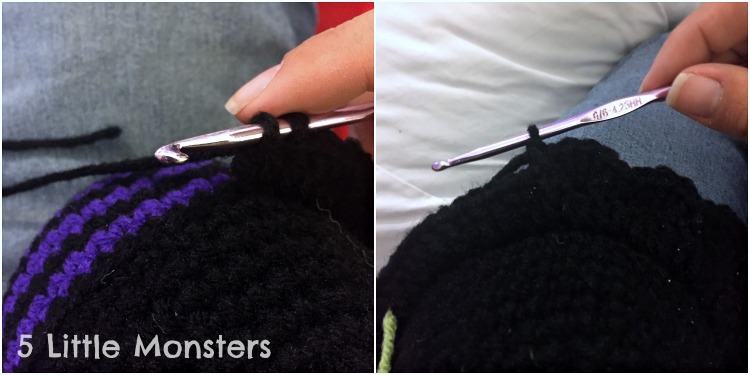 Pull thread to close and stitch to secure. Set aside. Next you will make the witch's body. The body is made by working in the round in a spiral, you do not need to join rounds. Begin with a magic ring. 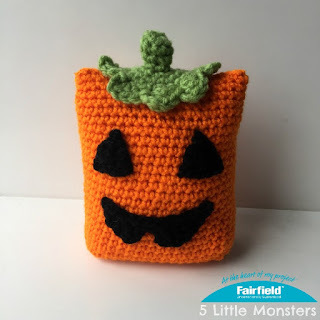 To switch colors when you make the last stitch of the round before you start a new color start the stitch as normal but when you yarn over to pull through at the end pull through the new color and you will be ready to work the next round with the new color. 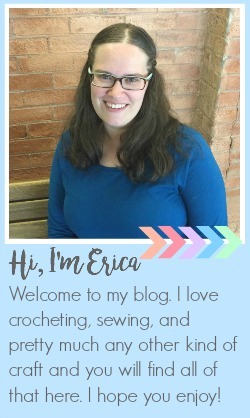 When working the stripes on the first half of the body do not cut your yarn after each color change, just carry it up the inside of the body. 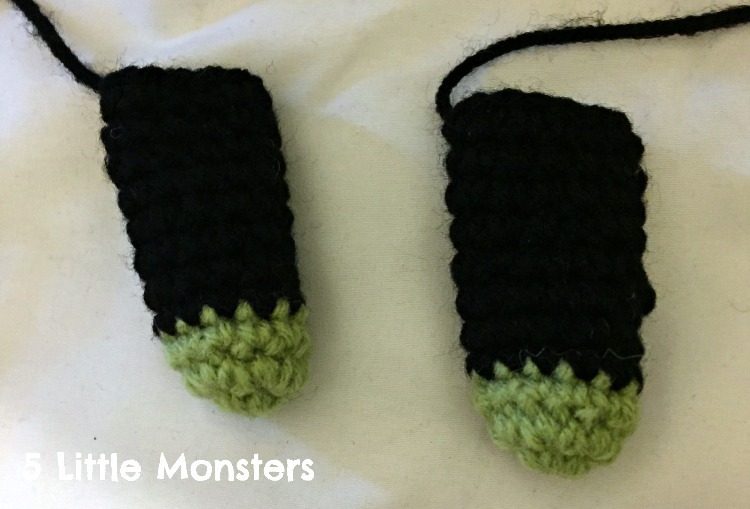 With the black yarn begin working in the front loops left in round 15. Cut several pieces of orange yarn about 10" long. 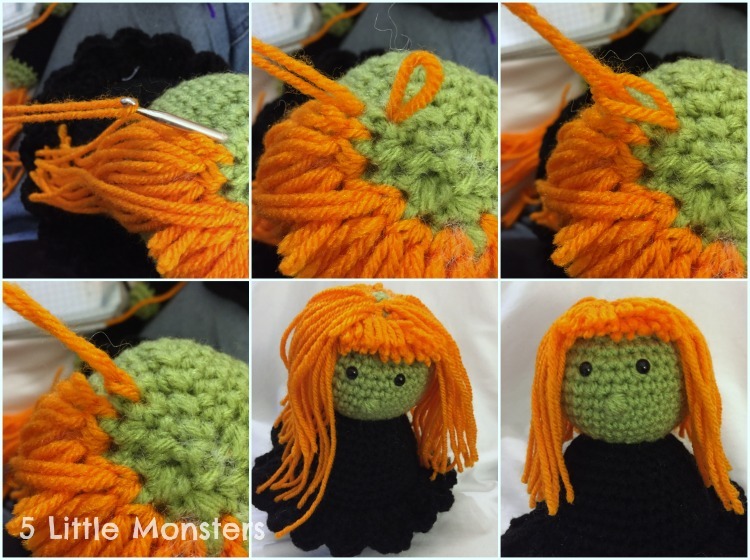 Add the hair around the head by folding a strand in half, insert your hook through one of the stitches on the head and pull the folded end through. Pull the cut end through the loop and pull to tighten. Continue adding stands all the way around the head. The top of the head will be covered by the hat so you don't have to fill it all in. slip over the hat and pull the tails through to the inside of the hat. Tie the tails in a knot to secure. 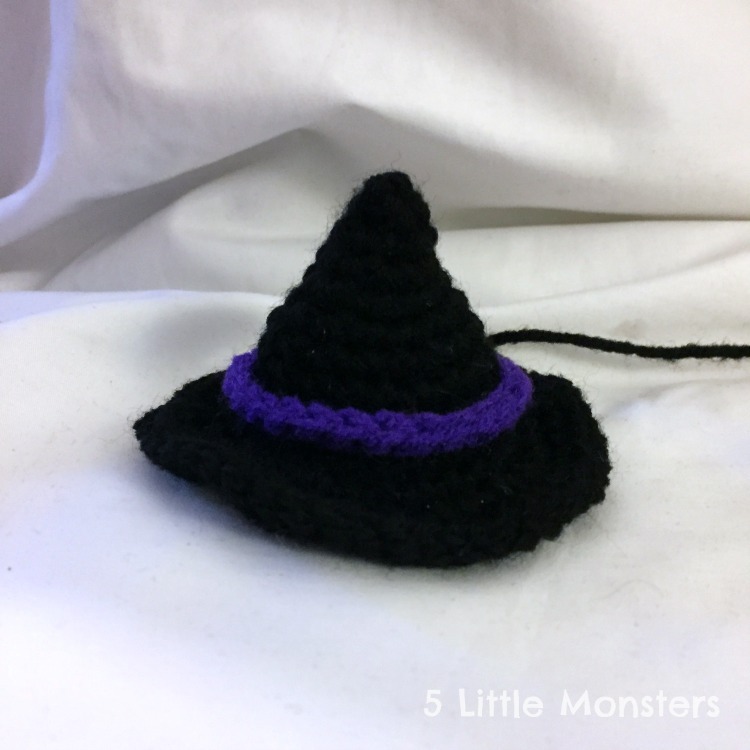 Add a little bit of stuffing inside of the hat and sew to the top of the witch's head. 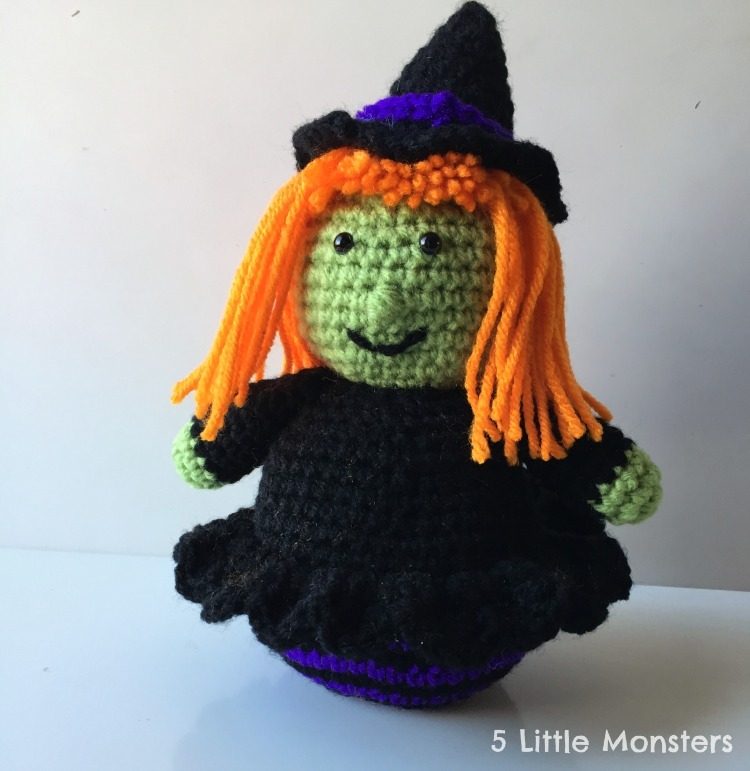 The last step is to enjoy your new little Halloween Witch.